BY ALL RIGHTS, FIRST PLACE on any list of the best bars of the twenty-first century should go to Milk & Honey, founded in New York in 1999 by the late and much-lamented Sasha Petraske, who did more than anybody else to establish the parameters for the modern cocktail bar. Unfortunately, it closed a couple years ago, and there's no point in us listing a place you can't visit. That sends us—and, we hope, you—to Pegu Club. In our first Best Bars feature, we singled out this modern New York classic for proving that a bar today could do everything the legendary bars of the past could do. Years later, it's still doing that. 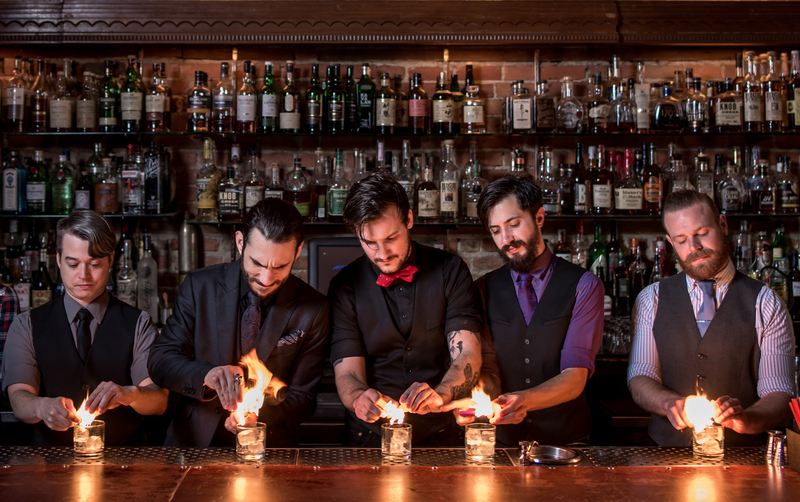 Meanwhile, Pegu Club's bartenders have gone to every corner of America and opened their own bar, establishing the same thing over and over: Pegu was timeless when it opened, and it hasn't changed a bit. To sit there in the cool evening shadows sipping a Pegu Club Cocktail is to be drinking in 2006 or 1936 or 1916.